Mary was probably born in Wilson County, Tennessee. 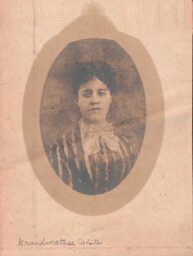 recorded as Mary E. Seegraves, 14, TN, W, daughter of Henry and Pharliza Seegraves. recorded as Eliza White, 23, TN, wife of Niel White, 31, TN, farmer; Stella C., dau, 3, TX; Laura B., dau, 1, TN. [S508] 1870 census for Macon County, Tennessee .